The 2019 Lady Helm Race took place in glassy conditions, putting the tactical and technical prowess of all 14 Female Skippers to the test. The race comes 3 weeks after the official International Womens Day (8 March) and also celebrates Charley’s Birthday (She turns 50 this year!). The Skipper of New Blue Eyes, together with Rosanna Van Maarschalkerweerd from Minx kindly sponsored some finger food for the event, to feed the hungry sailors after a long and arduous afternoon of racing in 1-2 knot winds. IRC Class was led from start to finish by the mighty Red Rum, under the steady helmswomanship of Lim Su Sian. She was indeed the rose amongst the thorns, being the only lady on board. 2nd place went to Sky Bird, skippered by their secret weapon – Coach Jhing from our CSC Youth Sailing Squad! Having her racing experience (former Philippines National Sailor) on the helm and a light crew of only 3 up helped them pip Marissa See’s Shardana to the podium. The lighter boats thrived in the super light airs, and the results show for the PY Class. 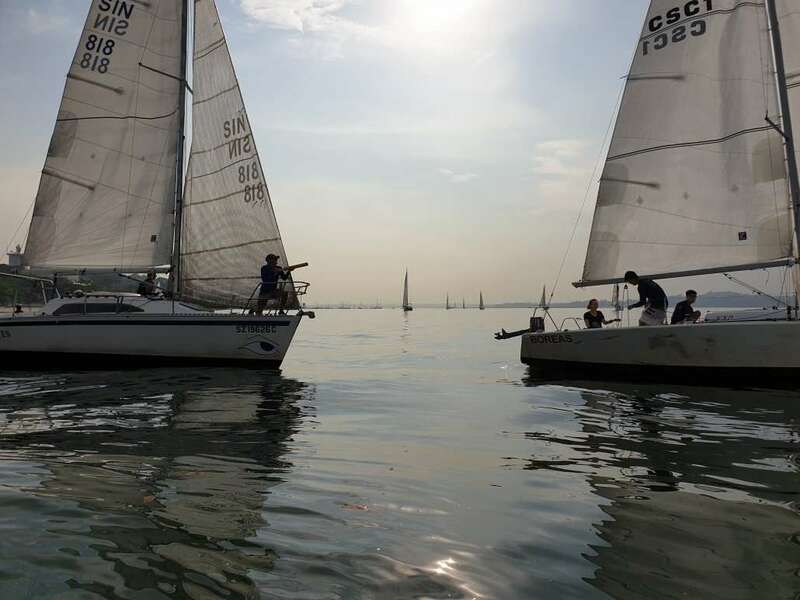 3rd place went to the nippy Brio, sailed superbly by Desiree Lim, a Team Singapore Para Sailor! 2nd was clinched by New Blue Eyes, skippered by Wendy Baker. The boat was armed with water guns to beat the heat (and make mischief)! Their perseverance paid off, rewarding the team with line honours and a well-deserved place on the podium. NTU exchange student and skipper of Boreas – Mata will only be here for another week before she returns to Poland. Yesterday’s winning result with NTU Sailing Club (NTUSC) on Boreas made it a sweet memory for her to take home, after an eventful time spent as a member of NTUSC. Lets not forget that despite being the only multihull on water, Jaza Too was very sporting and also the fastest boat in the fleet! Congratulation Anette, well sailed! Kudos to all the winners, this will definitely be an annual event at CSC – plans have already been made to shift it closer to the NE Monsoon season next year, hopefully with more winds!